Health disparities exist between races in America. These inequalities are cataloged in numerous studies, reports, conferences, articles, seminars, and keynote speeches. Various studies include reports on income, health insurance, cultural differences between patients and their physicians, language barriers, and biological "racial" differences in the discourse of health disparities. 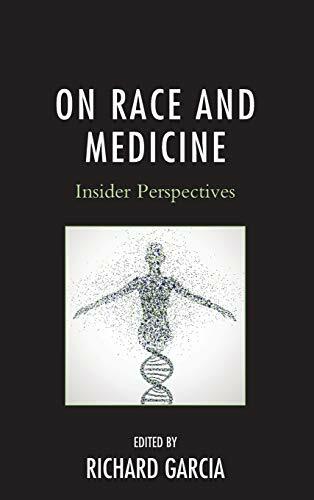 On Race and Medicine: Insider Perspectives is a collection of enlightening personal essays written by an interdisciplinary group of scholars, physicians, and medical school deans. They invite readers to evaluate disparities differently when considering race in American healthcare. They address the very real, everyday circumstances of healthcare differences where race is concerned, and shine light on the realities of race itself, inequalities in healthcare, and on the very way these American complexities can be discussed and considered. This is not another chronicle of studies cataloging differences in health care based on race. The essays are narrated from practical and personal stances examining disparate health between the races. Decreasing inequalities in health for racial minorities, who are sicker in so many areas-diabetes, heart disease, stage of cancer, etc.-is financially good for everyone. But understanding health inequalities in race is of even greater human importance. How race intersects with medicine is striking given the existence of racial issues throughout the rest of American history. These authors attempt to explain and explore the truth about health disparities, which is necessary before we can turn our national attention toward eliminating differences in health based on race.